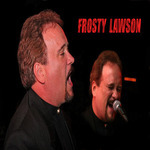 Frosty is filling in as an open mic host for owner of the club, Dave Budway-jazz pianist extraordinaire. We will sign you up to perform with us! !